"What was that?... I should kill everyone and escape?!" Worst heroes ever! Man, Warner Bros sure knows how to cut trailers! I mean, c'mon! Their latest TV spot for what is bound to be a 'dope' comic-book, action-packed blockbuster still has me hooked! 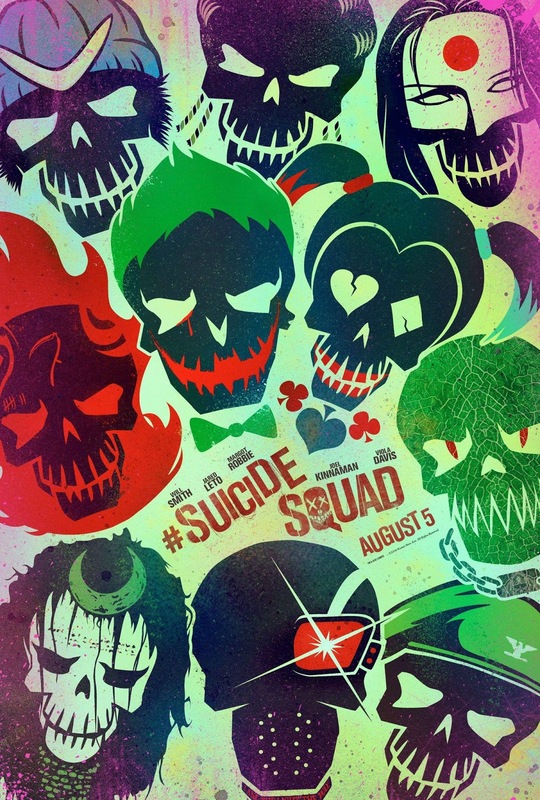 Suicide Squad packs one powerful (villainous) punch! And with this gorgeous, star-studded cast we're most-deff in for some wild & crazy fun! We got Will Smith, Margot Robbie (BABE), Cara Delevingne (LOVE), Jared Leto (DROOL), Joel Kinnaman (SWOON), Jai Courtney, Viola Davis, Common, Jay Hernandez, Karen Fukuhara, among others. This TV spot is basically a condensed version from previous trailers, but it still looks awesome and I cannot wait to see it! I just hope this flick is as cool as it seems. Enjoy! Suicide Squad is a DC Comics movie from Warner Bros, directed by David Ayer (End of Watch, Sabotage, Fury) from a script by David Ayer based on the comic books. Will Smith is Deadshot, Joel Kinnaman is Rick Flagg, Margot Robbie is Harley Quinn, Jared Leto is Joker, Jai Courtney plays Boomerang, Viola Davis plays Amanda Waller, Cara Delevingne is Enchantress, and Adewale Akinnuoye-Agbaje is supposedly playing Killer Croc. All of these characters are part of a super villain team recruited by the government for secret missions. It's rumored that Ike Barinholtz is playing Dr. Hugo Strange, Adam Beach is possibly Ravan and Jim Parrack is playing Deathstroke. You don't want to miss this blockbuster when it hits theaters everywhere August 5, 2016.